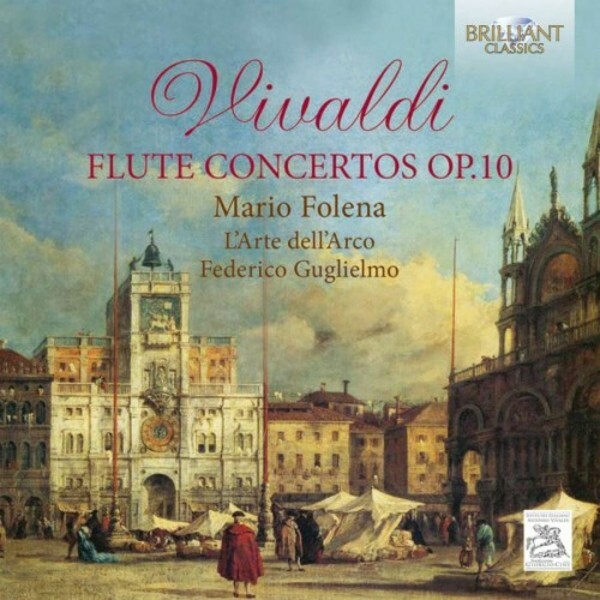 Vivaldi’s six Concertos for flute Op.10 nearly attain the same popularity as the Four Seasons. Published in Amsterdam in 1728, they contain some of Vivaldi’s most famous concertos: Il Gardellino, La Notte and the Tempesta di Mare. Music of wonderful invention, drama, tone painting and instrumental virtuosity. They are played on original instruments by soloist Mario Folena, a pupil of Jean-Pierre Rampal and Rene Clemencic, principal flutist of the famous Orchestra di Padova e del Veneto, and veteran of the Historically Informed Performance Practice. Federico Guglielmo leads his ensemble l’Arte del’Arco, lifelong champions of the Red Priest from Venice. The performance is based on the new Critical Edition of Vivaldi’s works, revealing many new details and insights.